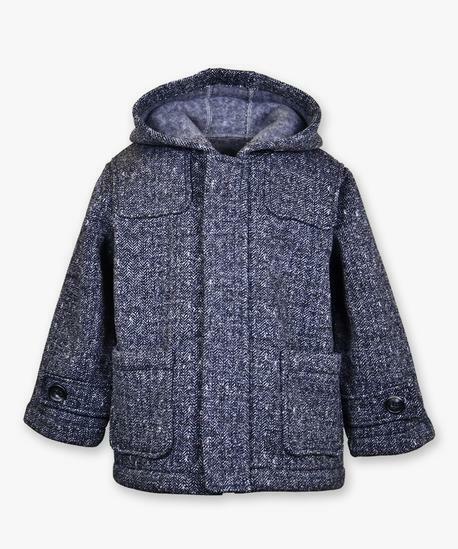 Hooded Fleece Coat. Heather Tweedy Grey Fleece Coat with front patch pockets. Size 12M -10.